Planning a trip to Vancouver and wondering where to stay in Vancouver? Well let me help you! I’ve been living here for over a year now and love it more than ever. I spend my days walking dogs around the city and so know each area pretty darn well. 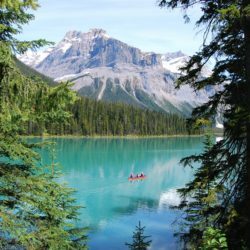 If you’re wondering which part of Vancouver might be right for you then take a look at this guide on where to stay in Vancouver. 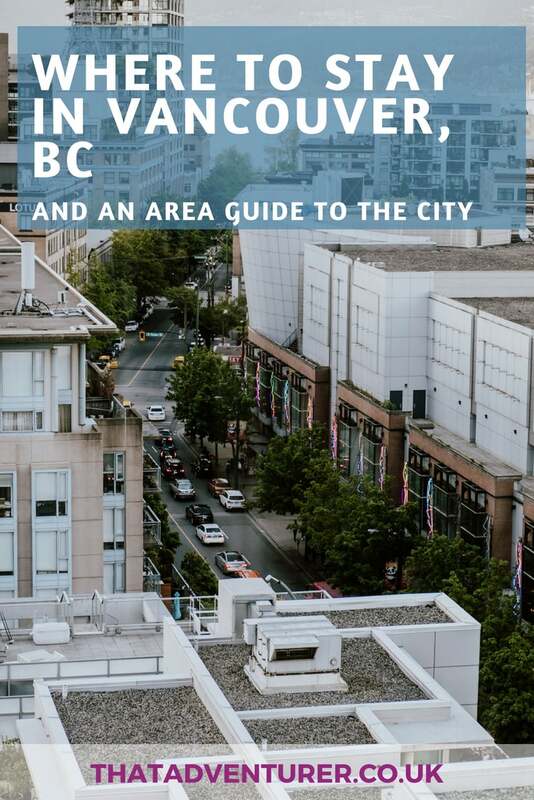 This guide is also super handy if you’re looking to move to Vancouver and can’t decide which area you want to be in. Although cost may play a bigger factor in that decision! 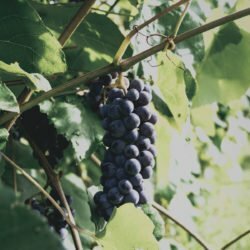 Want more ideas for things to do in Vancouver? Compared to a lot of cities, Vancouver is really quite small. In the end, it won’t matter too much where you stay. But, if you want the real Vancouver experience complete with the city’s beaches, mountain views, coffee culture and seawall strolls, then the below districts are some of the best places to base yourself in Vancouver. 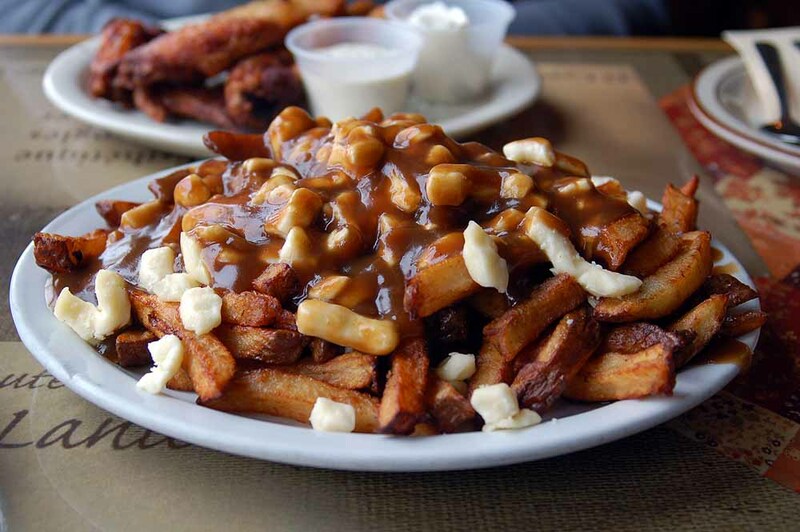 Let’s start with the best part of Vancouver (in my view, but I’m totally biased)! The West End is the area of Vancouver that borders Stanley Park. It’s also home to some of the cities most popular beaches; Sunset Beach & English Bay. The streets are leafy and pretty traffic free and there are some great places to eat nearby too. Vancouver’s main shopping district and other areas, such as Yaletown, as in walking distance. To find out more about Vancouver’s West End, check out this post. Everyone! But probably even more enjoyable for couples and families with older children. If you like walking then the West End is great. Maybe the only downside is that the public transport isn’t so great here. There are buses, but you’re about a 15-20 minute walk from the nearest Sky Train station. Just 2 minute’s walk from the beach with its own onsite restaurants and 2 bars. In one of my favourite areas of the West End, Barclay House is well situated and you’ll even be welcomed with freshly baked cookies! Here you’re close about a 10 minutes walk from the beaches, Stanley Park, the shopping heart of Vancouver and Coal Harbour. 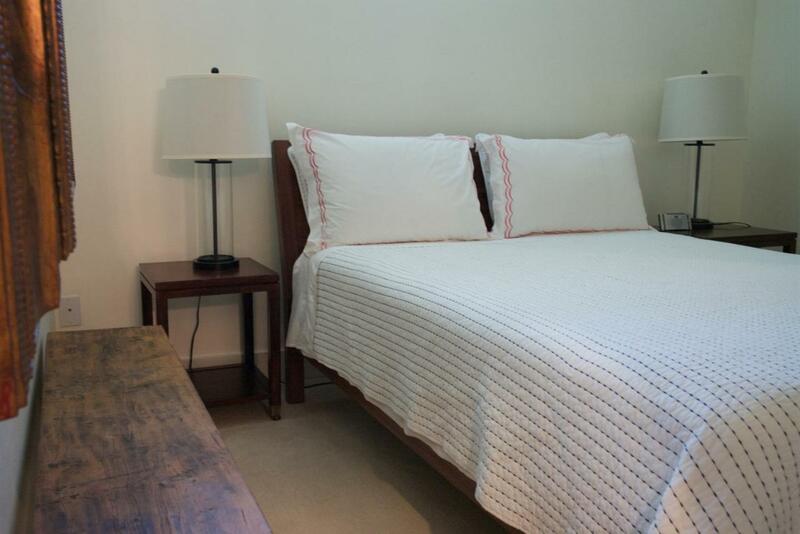 Under 10 minute’s walk from the beach and on Denman Street with great food and drink, these suites are fully furnished suites with fully equipped kitchens and gas fireplaces. 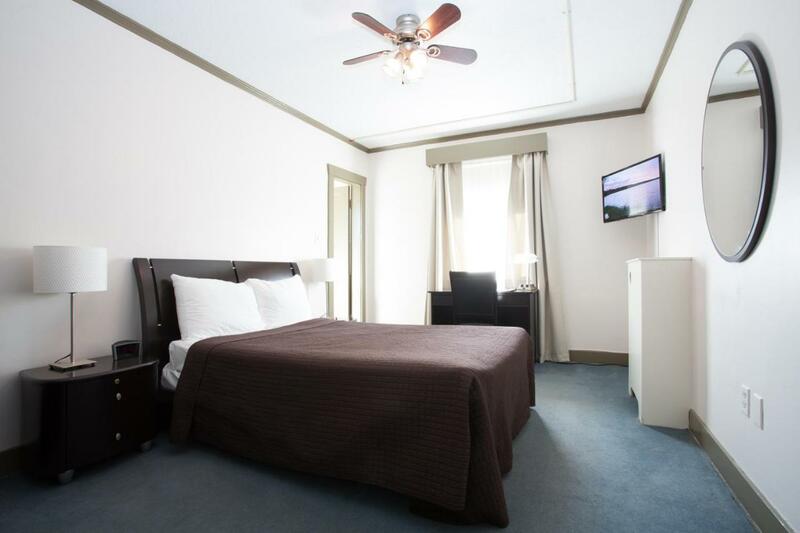 This hotel is on a quiet street in the West End and super close to Stanley Park. 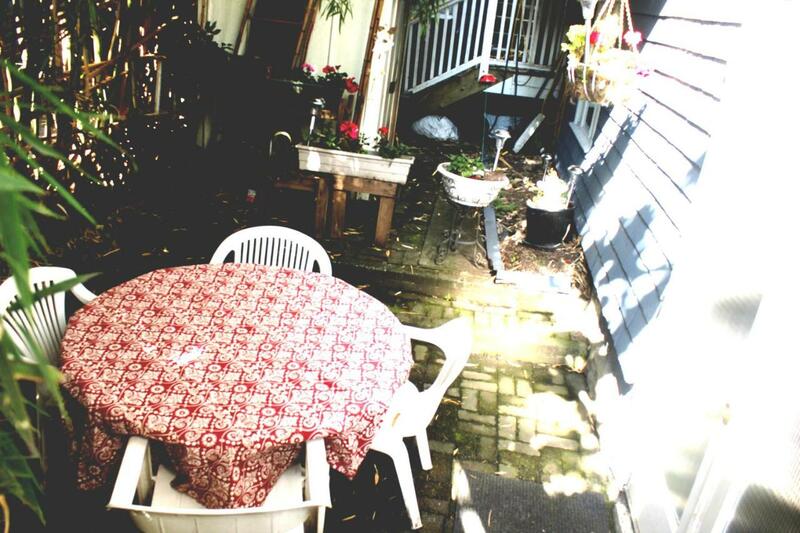 It’s also got a restaurant with a lovely looking terrace outside that I’ve been meaning to go to this summer! Some rooms have shared bathrooms. Just on the edge of the West End is this hostel which is ideal for budget travellers who want to be close to the beaches. There are plenty of cafes nearby for your morning coffee too! If you can’t go more than a few days without a spin class or a green juice and want to eat our every night then Yaletown is for you. Yaletown is one of Vancouver’s newer districts and is full of juice bars, barre and spin studios and organic supermarkets. It’s also got a tonne of restaurants and bars which are a bit fancier than what you’ll find in the West End. This section of the seawall is also one of the most popular areas and there are lots of dog parks so it’s great for some dogspotting! Those who can’t function without a spin class to wake them up! Better for couples, solo travellers or groups of friends than families. Yaletown is a bit more upmarket than other parts of Vancouver. Whilst Vancouver is pretty expensive all over, it’s perhaps even more so here. The DOUGLAS is a new hotel in the Parq Casino. It’s very luxurious and there’s also a massive rooftop patio which you can use. Level Living offer luxurious suites fully equipped with everything you’d need including kitchen supplies, TV and wifi. There’s also a swimming pool and onsite gym. It’s super close to shops and the bars and restaurants of Yaletown. This one’s more an Airbnb than a hotel but it does have some great city views. Plus you’ll have your own kitchen to cook in some nights to save money. Gastown is the oldest part of Vancouver and charms visitors with its cobbled streets. There are plenty of bars and restaurants here too, many of which offer fantastic happy hour deals. And, since you’re on holiday, you’ll be able to get there before the locals clock off work for the evening! 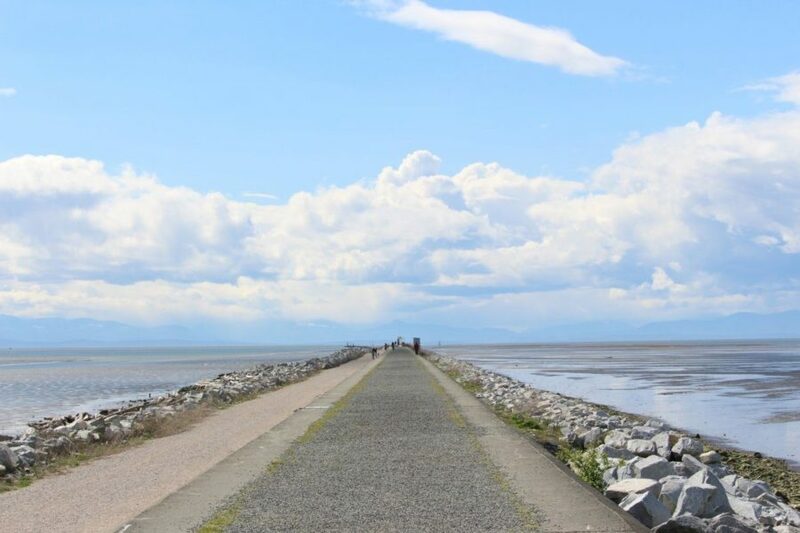 Whilst you’re further from the beaches in this end of town, you’re super close to the main train station and you’re never really that far from a beach in Vancouver! Couples, solo travellers and groups of friends who are sightseeing in Vancouver for a few days. 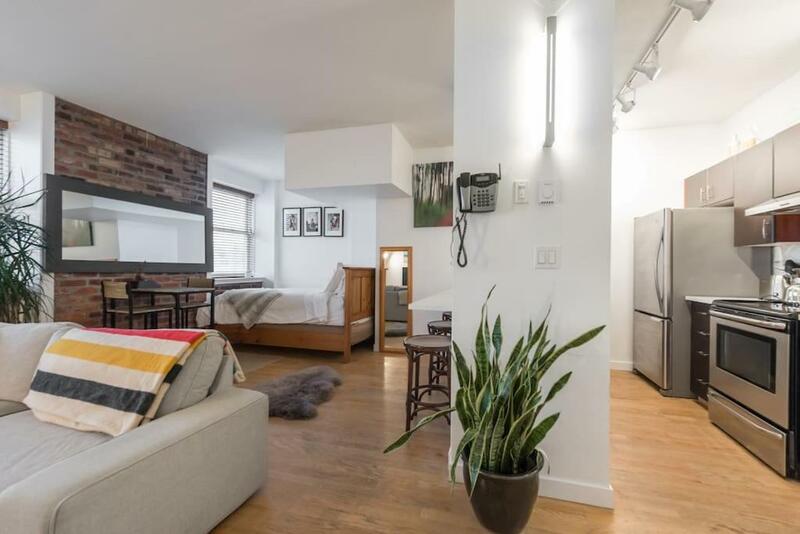 This apartment is beautiful with exposed brick walls and a decent sized kitchen. 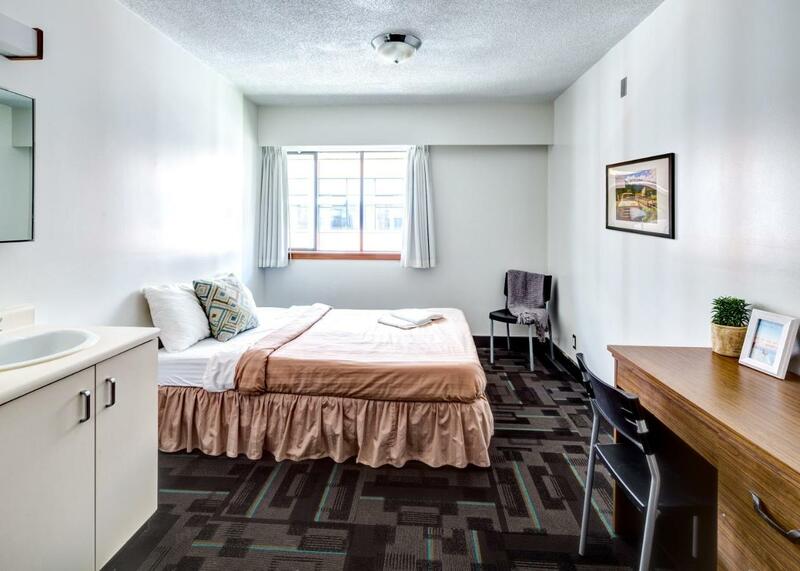 It’s perfect for your stay in Vancouver. This hotel seems to be one of the few that includes breakfast with your room. 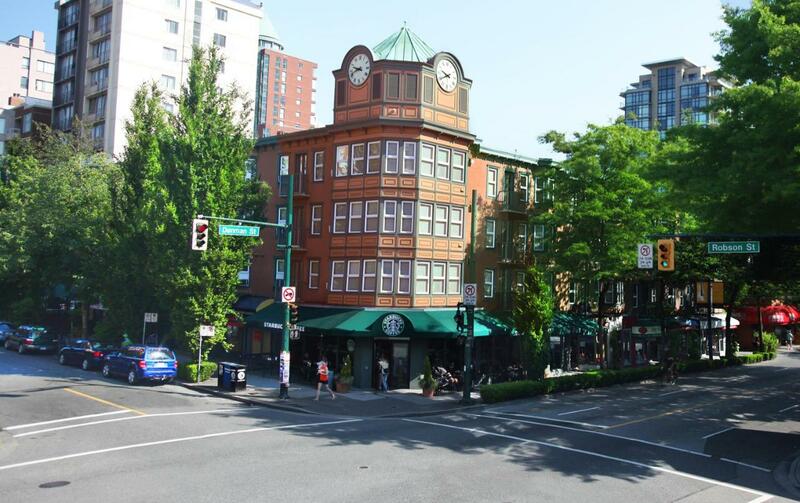 It’s also very centrally located not too expensive for a 3-star hotel in downtown Vancouver. Heading south over Burrard Bridge is Kitsilano. Kitsilano is a pretty area with some of the city’s best beaches and plenty of juice bars (like Yaletown) but also with more of a family feel. Families, couples, older travellers. It’s quieter over here and there’s even more green space. Whilst there’s no Sky Train station there are plenty of buses that will connect you with downtown Vancouver. Or just walk 20 minutes or so over one of the bridges. There are fewer hotels here but you may be able to find some Airbnbs www.airbnb.ca/c/hkacary . Here are a few options you can try if you’d like to stay in Kitsilano. These apartments sit within a converted heritage home in the Point Grey area of Kitsilano. 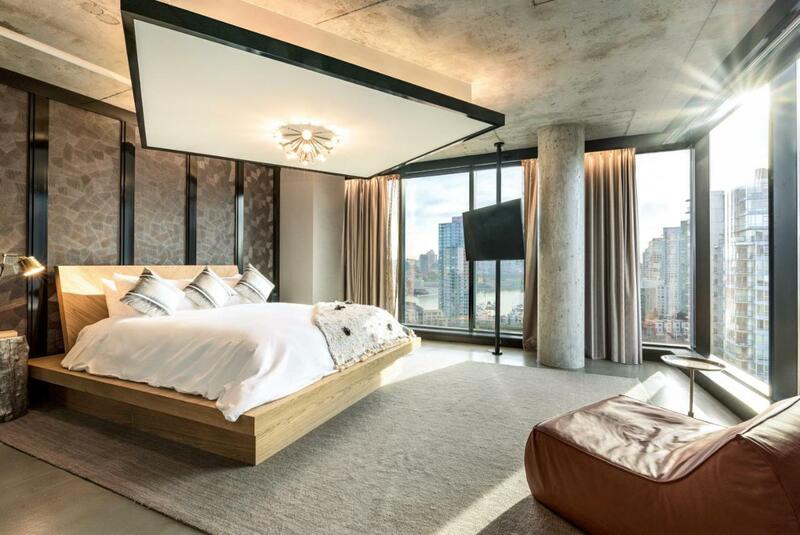 During your stay you’ll easily be able to imagine living in Vancouver with any one of these gorgeous suites. 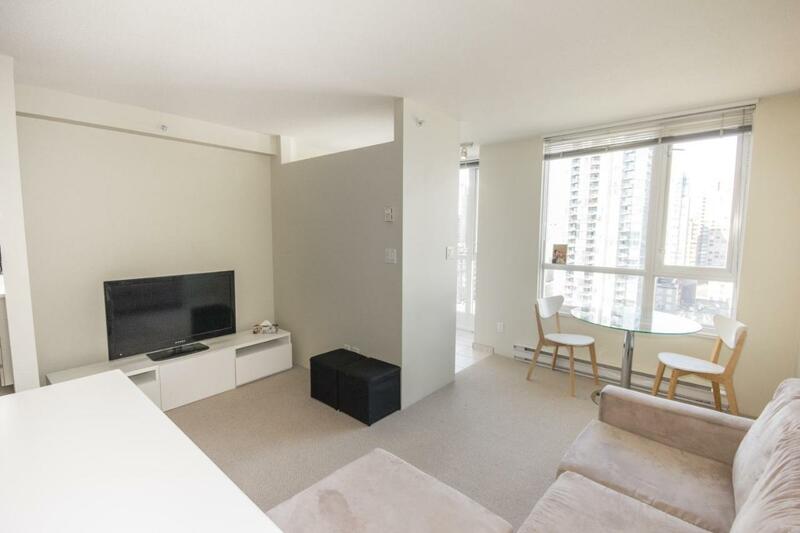 These one and three bedroom apartments have everything you could possibly need during your stay in Vancouver. 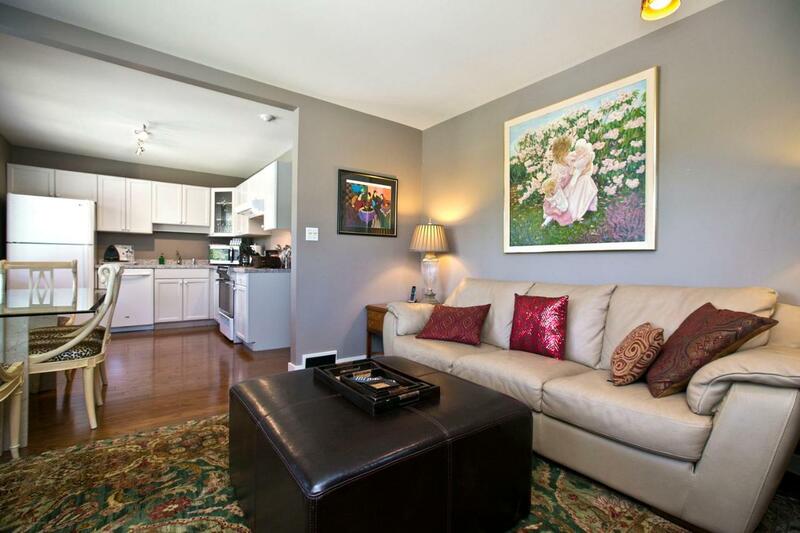 They’re also super close to the beach and West 4th Avenue which is the heart of Kitsilano. This B&B comes with a delicious breakfast and a comfortable room with all the basics. You’ll be very close to the beautiful Kitsilano Beach with its outdoor pool and mountain views too. Main Street is for the hipsters out there. 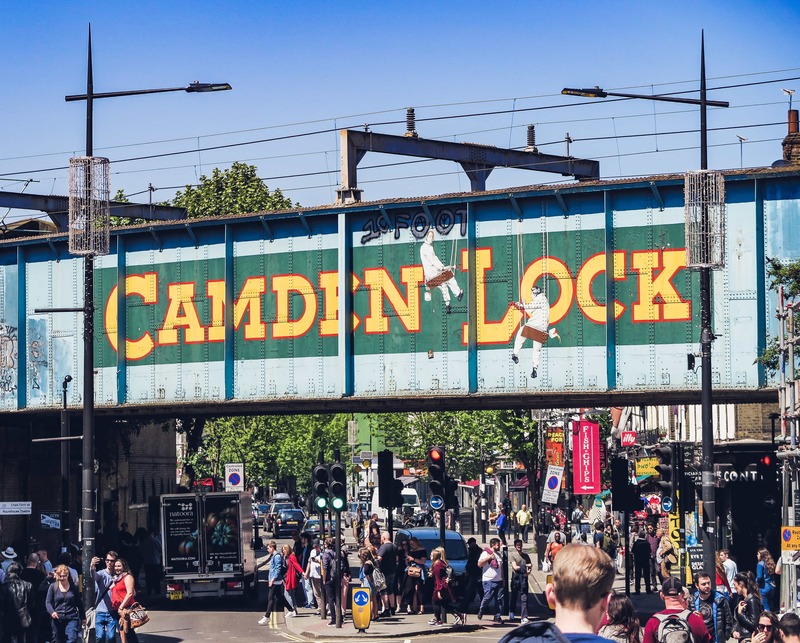 There are coffee shops in abundance, vegan and vegetarian only restaurants, independent boutiques, no-waste stores and, in certain places, great mountain views. Whilst you’re further away from the beaches here you’ll still find green spaces to relax in when the sun’s out. There are also plenty of bus routes to get you downtown. There’s a bit less choice here but here’s a couple of options. 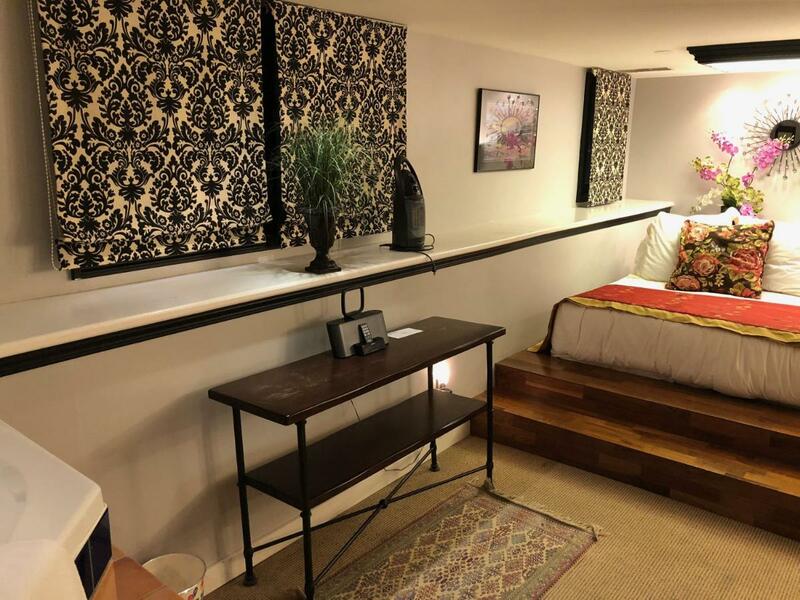 This suite has two bedrooms, Netflix, and a full kitchen area. It’s close to Main Streets shops, bars and restaurants too. If you choose to stay here in Vancouver you’ll have one of the best views in the city on your doorstep (the top of Queen Elizabeth Park!). The rooms here have shared bathrooms, kitchen access and a garden area too.